Microsoft has announced that all future titles from its first-party exclusives portfolio will launch on its monthly Xbox Game Pass subscription service day-in-date with retail and digital storefronts, including those from acclaimed franchises like Halo, Forza, and Gears of War. This means when future titles from Microsoft Studios launch digitally and in retail stores, they will also be available to download and play for Xbox Game Pass members at no additional cost. 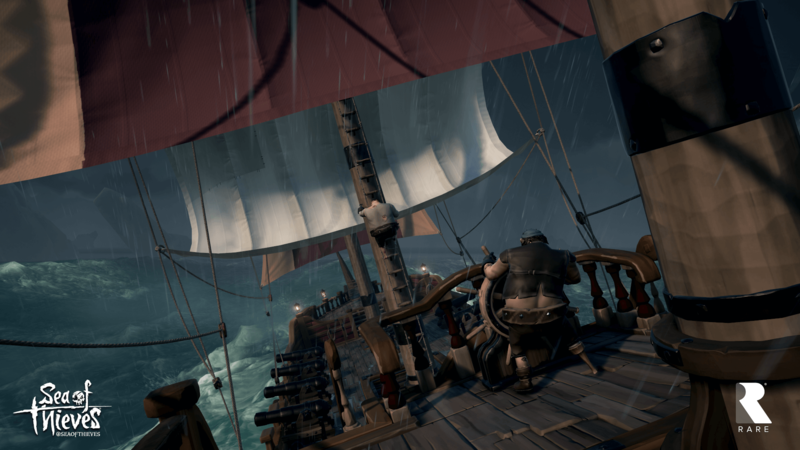 Sea of Thieves will be the first title to be featured in this initiative, and when it launches on March 20th, it will be available to download on Xbox Game Pass. Microsoft confirmed that Xbox Game Pass will also feature State of Decay 2 and Crackdown 3 when they launch later this year, as well as future unannounced titles from Microsoft Studios, including new iterations of fan-favourite franchises on Xbox One. These include new entries in the Halo, Forza, and Gears of War series, and all will be playable on Xbox Game Pass when they launch worldwide. To coincide with today’s expansion, Microsoft has also announced that it’s working with retail partners, including GameStop, to offer a 6-month Xbox Game Pass subscription card. The 6-month Xbox Game Pass subscription card will be available at “select retail partners” for $59.99 beginning on March 20th to coincide with the release of Sea of Thieves. “With the addition of more great games, new blockbuster releases and a new subscription offer, we are giving fans more choice and value in how they discover and enjoy games – purchase games for their permanent library or play through Xbox Game Pass for one low price,” said Head of Xbox, Phil Spencer. Xbox Game Pass launched in June 2017 as a Netflix-style subscription game service with over 100 titles to enjoy, including Gears of War 4, Halo 5: Guardians, and ReCore: Definitive Edition. 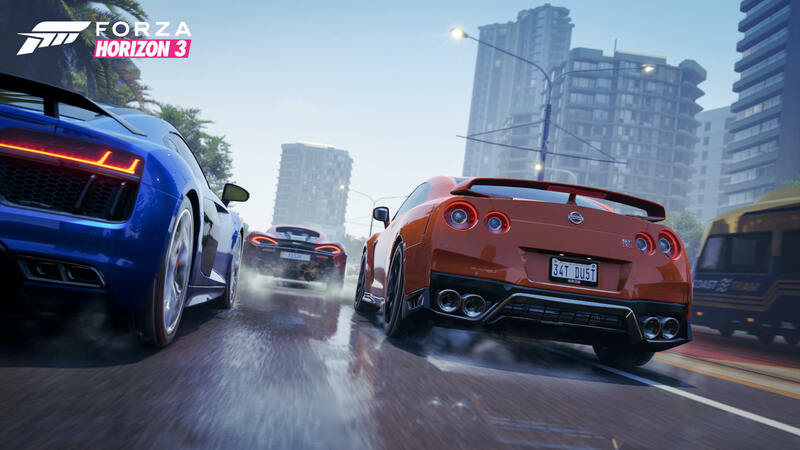 Microsoft has since announced that it currently has no plans to add Forza Motorsport 7 or Forza Horizon 3 to Xbox Game Pass. Halo Wars 2 will, however, join the service on February 1st. Users pay a monthly price of $9.99 and have unlimited access to download and play games at their full-fidelity. Those on Xbox One X also benefit from Xbox One X Enhancements as well, including 4K Ultra HD and High Dynamic Range, as well as improved graphical features, if supported on the title being played. “We’re truly humbled by the incredible response we’ve received to date for Xbox Game Pass, and we look forward to offering an unprecedented choice and value with Xbox Game Pass this spring and beyond,” Spencer added. Xbox Game Pass is available in more than 40 countries worldwide, and new titles are added every month. With future entries in the Halo, Forza, and Gears of War franchises launching in Xbox Game Pass, fans can enjoy Microsoft Studios exclusives in more ways than ever before. 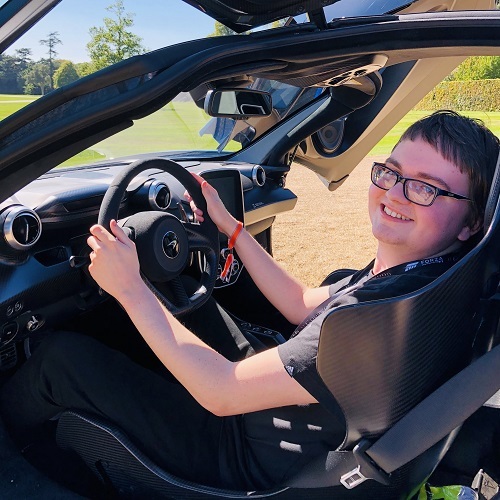 Players can also take advantage of Xbox Play Anywhere, so these titles can be played across Xbox One and Windows 10 PC with support for cross-platform play and save profile syncing. Overall, Microsoft continues to expand and push its service-based future on Xbox One with the likes of Xbox Game Pass. This move shows the company’s commitment to its fans and consumer-value, and will result in even more players on titles from Microsoft’s first-party portfolio going forward, whilst offering more choice to consumers with how they purchase, acquire, and play new games. 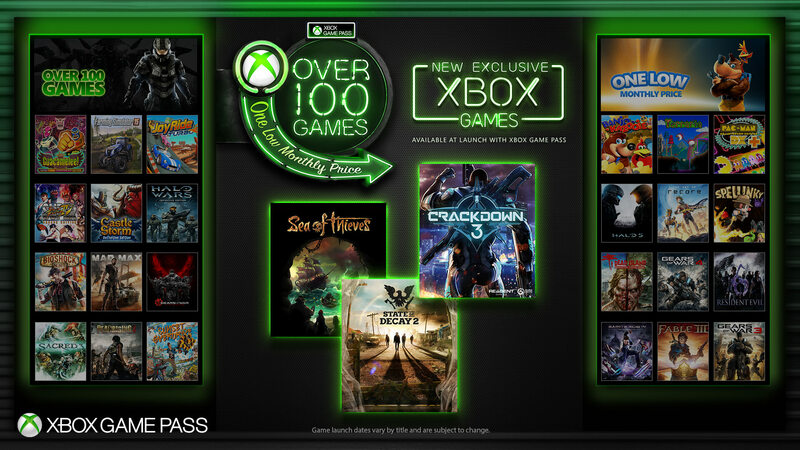 With new entries in the Halo, Forza, and Gears of War franchises for Xbox One now confirmed to be on the way, as well as Crackdown 3, State of Decay 2, and Sea of Thieves launching later this year, it’s clear there will be a lot of value to be had from Xbox Game Pass moving forward.